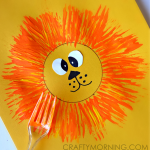 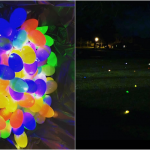 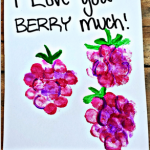 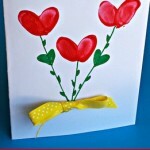 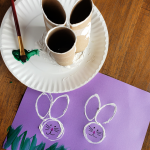 You will need paint, a small paintbrush, cardstock paper, a child’s foot, and a black marker. 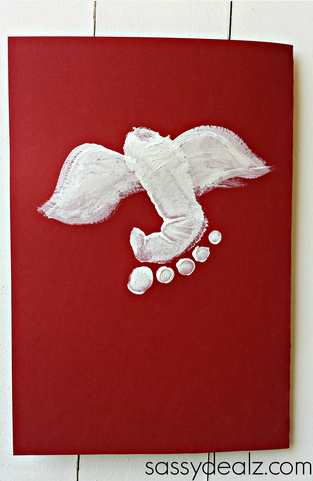 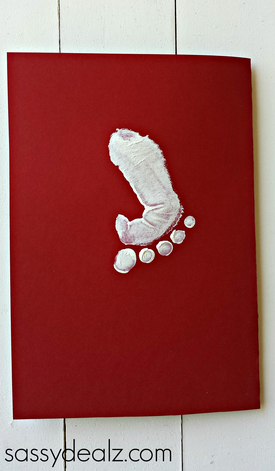 Paint your kids foot with washable white paint and have them step on a folded piece of red cardstock paper. 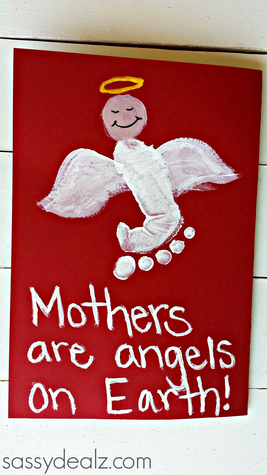 Paint on angel wings in any shape you want. 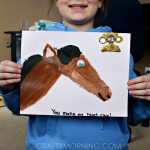 Make a circle with skin colored paint and add a yellow halo above it. 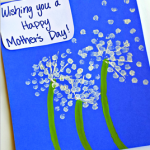 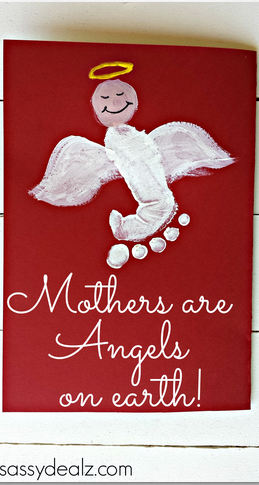 Let it dry and add the phrase “Mothers are angels on Earth!” on the bottom of the card. 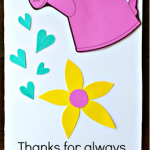 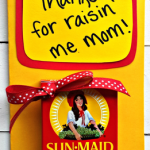 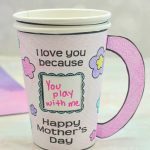 Cuttest mother’s day card, i have ever seen.